**PADI Courses: Manual purchase is mandatory and included in the course price (except Divemaster & Assistant Instructor Course) since we must ensure that every single student diver has, in his possession, a personal set of current PADI materials. ***PADI Pro Courses: Crew Packs purchase and PADI Application Fees are mandatory but not included in the course price, ask us for the latest prices. I’M SOLD, I WANT TO GO DIVING NOW! 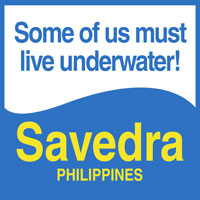 Some of us must live underwater!